Address needs through grant making. Provide leadership on key community issues. The Sussex Area Community Foundation was incorporated in 2004 by a dedicated group of community leaders. When you make a gift to the Sussex Area Community Foundation, you join people from all walks of life who have one thing in common, the desire to make a difference to the Sussex Area, forever. Your gift will continue to give, year after year, because it is part of a permanent endowment that is professionally managed by a team of community leaders and investment advisors. 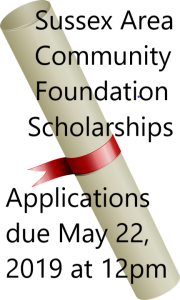 Earnings from the endowment are used to give grants and scholarships to our community. 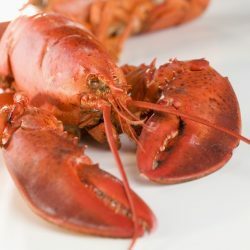 The Mother’s Day Weekend Lobster Dinner will be held May 11, 2019. Please call or email the office for tickets or contact a director. Tickets are on sale until May 8 and the dinner includes a 1 1/4 pound fresh NB lobster, salads, roll and dessert for $25 per ticket. Thank you to Mrs. Dunster’s bakery for providing rolls and dessert and the Masonic Lodge for sharing their Hall for pick-up on May 11. This dinner helps Sussex Area Community Foundation provide programs and services.